EA and Visceral games have announced that the Dead Space 3 demo will hit the Xbox LIVE and PlayStation Network in January. Though, as is almost the case with weird console exclusives these days, particular groups of gamers will be able to download the demo before others. Gamers will be able to snag the demo on the Xbox LIVE and PlayStation Network platforms on January 22nd, 2013. By way of the press release below, however, Xbox 360 owners will be able to get into the demo a bit early. It requires an Origin account. Exclusively for Xbox 360, gamers who want a chance to play the demo one week early, can sign up on http://demo.deadspace.com. There is no mention of a demo for the PC platform in the release. Seems weird for a company trying to push its own PC gaming marketplace. If you're new to the Dead Space universe but want to dig into the third main entry in this saga, EA and Visceral Games have released a trailer meant to catch you up. You'll witness the events of the previous Dead Space games unfold in the clip, so don't watch it if you're mindful of spoilers. Dead Space 3 will launch for the Xbox 360, PlayStation 3 and PC platforms on February 5th, 2013. The holidays might be over, but EA has one more gift for gamers! Visceral Games, an Electronic Arts Inc. (EA) studio, today announced that a downloadable demo for Dead Space™ 3, the first entertainment blockbuster of 2013, will be available for download on Xbox Live Marketplace and PlayStation Network starting on January 22. Exclusively for Xbox 360, gamers who want a chance to play the demo one week early, can sign up onhttp://demo.deadspace.com. * In the demo, players will be thrust into deep space terror when unwilling hero – Isaac Clarke – and all-new co-op companion – Sergeant John Carver – crash land on Tau Volantis, an unforgiving ice planet teeming with Necromorphs. Dead Space 3 takes the franchise's core elements of suspense, horror, action and sound and introduces them to all-new elements – including co-op play – that allows players to work together to take down the most ambitious Dead Space experience yet. Dead Space 3 launches in North America on February 5 on Xbox 360® videogame and entertainment system, PlayStation®3 computer entertainment system and PC and February 8 in Europe. 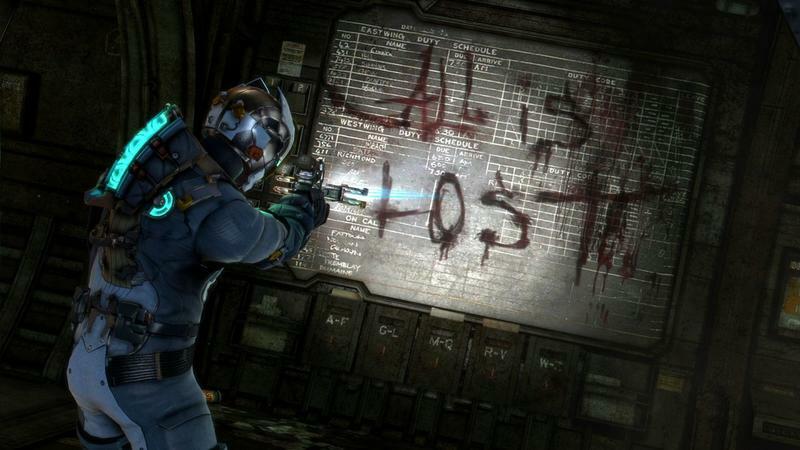 Winner of more than 15 critic awards at E3 2012 including Best of Show from Game InformerMagazine, Dead Space 3 cuts to the heart of deep space terror. The game is recognized by game critics worldwide for its incredible craftsmanship in horror, action, suspense and sound design. Players will embark on a thrilling ride through space that takes them to a hostile new planet, Tau Volantis. Fortunately, they are not alone this time around. The fully integrated drop-in/drop-out co-op feature gives players the option to play alone or team-up with a friend anytime. Players that choose to take down the terror together will experience additional story details, side missions and gameplay mechanics only found when playing as John Carver. For additional information and news, please visit http://demo.deadspace.com or our websitewww.deadspace.com, follow us on Twitter at: www.twitter.com/deadspace, or become a fan on Facebook at www.facebook.com/deadspace. Media assets are available at http://info.ea.com. Electronic Arts (EA) is a global leader in digital interactive entertainment. The Company delivers games, content and online services for Internet-connected consoles, personal computers, mobile phones, tablets and social networks. EA has more than 250 million registered players and operates in 75 countries. Visceral Games, Dead Space, The Sims and Need for Speed are trademarks of Electronic Arts Inc. Mass Effect is a trademark of EA International (Studio and Publishing) Ltd. Battlefield is a trademark of EA Digital Illusions CE AB. John Madden, NFL and FIFA are the property of their respective owners and used with permission. Kinect, Microsoft, Xbox, Xbox 360 and Xbox LIVE are registered trademarks of the Microsoft group of companies. "PlayStation" is a trademark of Sony Computer Entertainment Inc. Facebook is a trademark of Facebook Inc. All other trademarks are the property of their respective owners.